Unconventional Gas in Ukraine would like to invite you to the 5th annual Adam Smith Ukrainian Energy Forum, which is taking place on 23 – 26 June 2014 at the Hotel Intercontinental in Kyiv, Ukraine. The UEF has firmly established its reputation as the most important meeting place for the Ukrainian and international energy communities, each year bringing together over 300 senior energy executives from more than 20 countries to meet with all the key governmental decision-makers, as well as all the leading energy companies active in Ukraine. 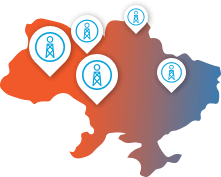 Ukrainian Energy Forum 2014 promises to be a unique opportunity to hear from all the key players in the sector and to learn what exactly has changed in the energy landscape. The impact of the Crimean situation on oil & gas investment projects in the Crimea and Black Sea. What will be the fate of Chornomornaftogaz and its assets? Reform of Naftogaz: how soon will it be restructured and split into separate entities? Tariff reform – how will the increase in energy tariffs for the population be managed? The Electricity Focus Day on 26th June, focusing on the functioning of the new Electricity Market. Hear the views of the Energy and Utilities Regulators, DTEK, the Verkhovna Rada, Continental Wind Partners, Scottish & Southern Energy, Energorynok, Eurocape New Energy and Kyivenergo amongst others. We look forward to involving you in the dialogue with all the important players and stakeholders as exciting commercial opportunities open up in the Ukrainian energy sector.